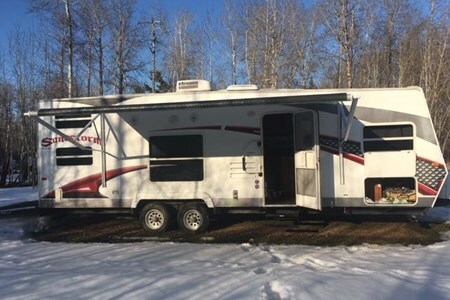 Little Guy 6wide Sport teardrop/toy-hauler Available for Winter Camping! 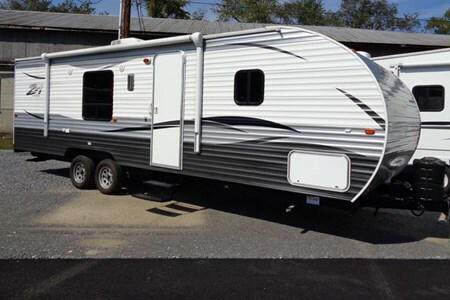 Lots of sleeping and storage space!!! 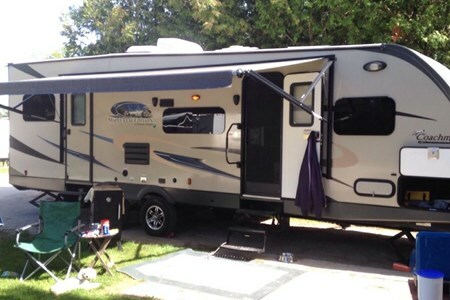 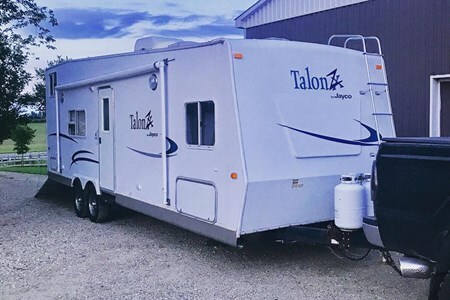 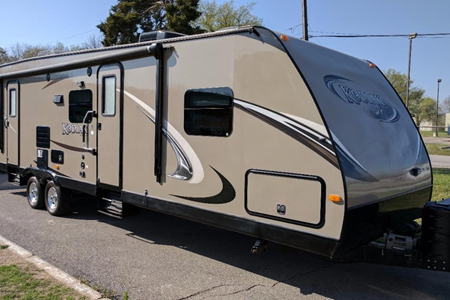 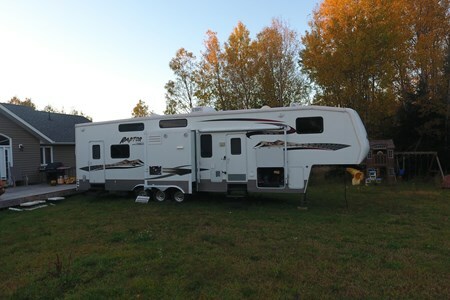 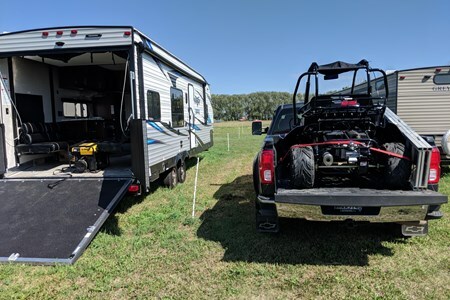 The Toy Hauler RV, also know as a sport-utility RV, allows you and your ‘toys’ to travel to your favourite off-road destinations without leaving behind the comforts of home. 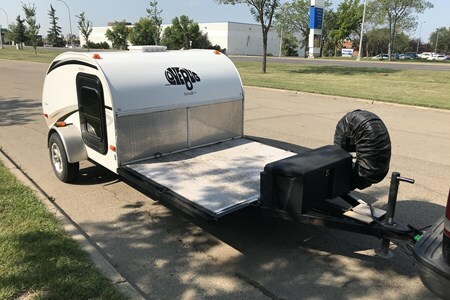 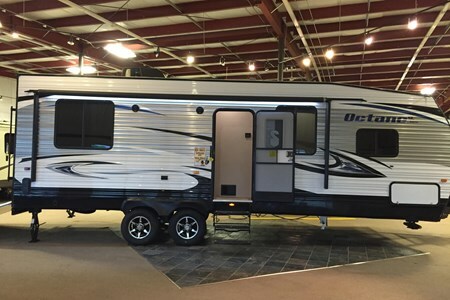 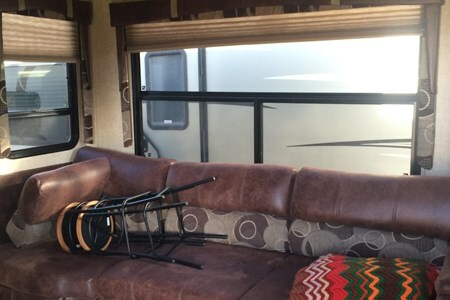 Interior elements such as beds, dinettes and couches are built to fold up against interior walls of the Toy Hauler RV trailer to maximize the fun time rear cargo area for your off-road vehicles such as ATVs, dirt bikes, jet skis, canoes, snowmobiles or motorcycles. 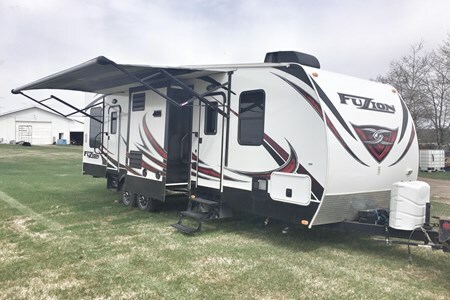 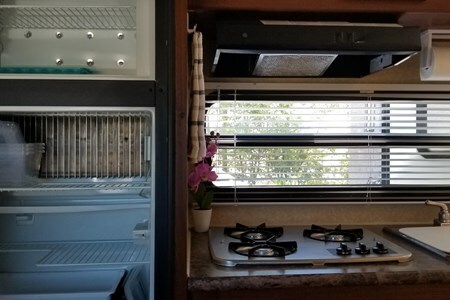 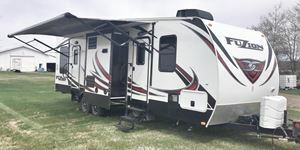 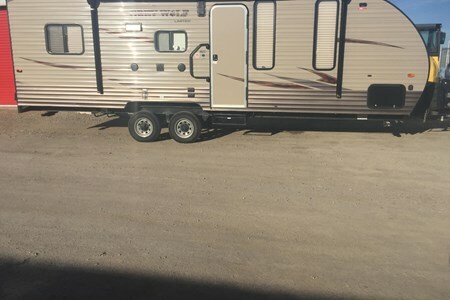 But what really separates the Toy Hauler camper from other RV trailers is its drop-down ramp that allows easy access to the cargo area so the fun can begin. 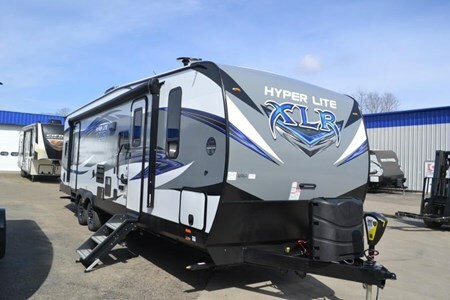 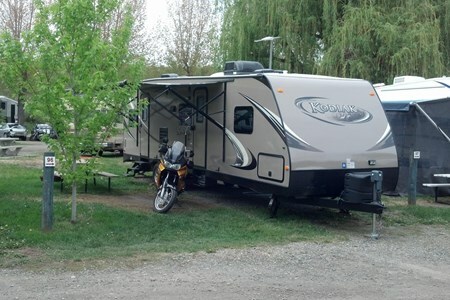 Why Rent a Toy Hauler RV with Wheel Estate?